Fringe! Queer Film Festival 2017 for Blaize Henry's Episode at Shorts: Back to the Future and Lasana Shabazz's episode for Shorts: All Born Superstars, Everyday Queer Performance. Sunday Funday Film Festival for "Documenting Queerness" 2017. This is an on-going series, everyone is welcome to participate. I'm filming in New York and London! Subscribe to the Newsletter or send me an email if you're interested! 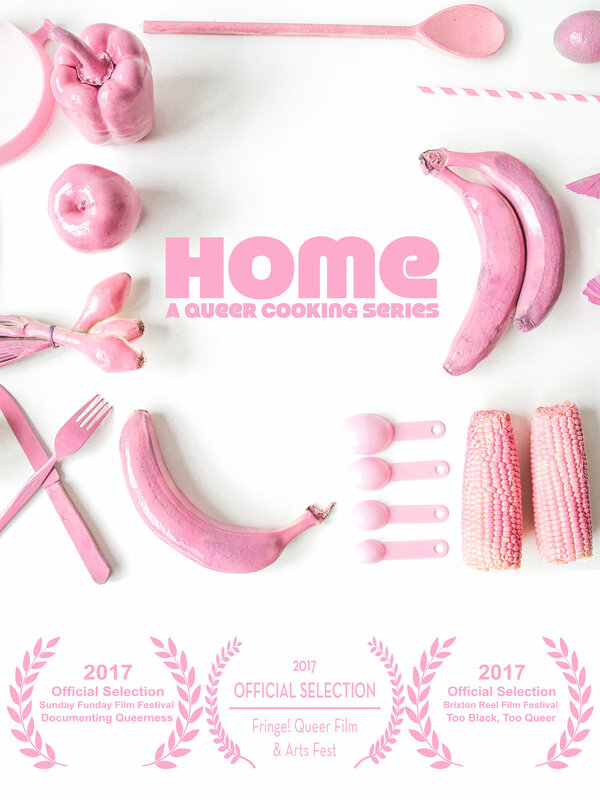 Home Queer Cooking releases new episodes, recipes, photos and articles every week! Stay up to date by subscribing to the monthly newsletter featuring the latest stories from LGBTQ people. We respect your privacy and you can opt out at any time. We wont spam you! We just want to update you on delicious food and queer experiences. Thank you so much for supporting Home Queer Cooking. We're excited to share queer content with you through food and queer experiences.